The Central Bank of Nigeria on Monday said it had opened a special foreign exchange window for the Small and Medium Enterprises. The window would enable them to import eligible finished and semi-finished items not exceeding $20,000 for an enterprise per quarter. The Acting Director, Corporate Communications of the CBN, Mr. Isaac Okorafor, who disclosed this in a statement, explained that the apex bank’s special intervention was necessitated by its findings that a large number of the SMEs were being crowded out of the forex space by large firms. Under the special arrangement, he said enterprises with staff strength of between 10 and 199 and asset base of between N5m and N500m would be offered the opportunity to import eligible items within the approved threshold. Meanwhile, the Central Bank of Nigeria is planning to sell shorter-dated dollar forwards to inject liquidity into the official market and try to support the naira. The local currency weakened on both the official and black markets. The naira fell to 328.50 on the official market but later gained some ground to close at 306.15 after the CBN intervened, Reuters reported. However, the local currency closed at 405/dollar on the black market. In a statement on Monday, the Acting Director, Corporate Communications, Mr. Isaac Okorafor, said, “In the weeks ahead the (central bank) will sustain its intervention through the sale of foreign exchange to all segments of the market. 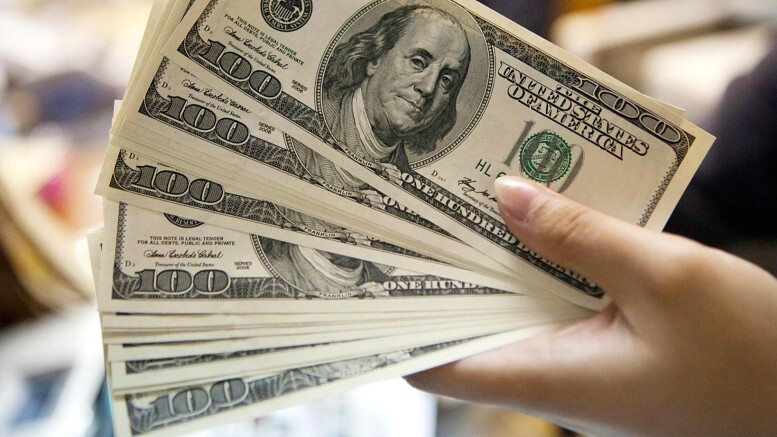 “The bank will sell short-tenured forwards of seven-day to 30-day maturity to meet demand of manufacturers and all other foreign exchange users. On Monday, traders said the bank would auction $100m to be settled between one week and 30 days, as against 60-day contracts it had written previously. The CBN had auctioned $418m at N310 on Friday to airlines, agricultural firms, petroleum and raw material importers in addition to $350m it sold last week to individuals with certain foreign expenses. The CBN has been battling naira volatility brought on by low oil prices, which has plunged the economy into a recession. The multiple exchange policy has masked the pressure the currency is under and made it difficult to attract inflows as investors struggle to price naira assets, Reuters reports quoting analysts. Last week, the International Monetary Fund said the naira was overvalued by around 10 to 20 per cent, and called for changes to Nigeria’s exchange rate policy. Be the first to comment on "CBN Opens Special Forex Window for SMEs"